Finally, Streets 2.0 is stable! With the Streets 2.0 Mod, you can build realistic and good-looking streets, roads and highways in your Minetest world. Guide the traffic with arrows and trafficlight and warn the world about dangerous situations with eye-catching signs! Need to do some roadworks? Go ahead and style your construction area with detours, construction fences and yellow road labels. Be careful! Don't fall into the manhole! Bring some light to your roads with delineators and streetlamps. Do all this and even more with the Streets 2.0 Mod! Streets 2.0 is not fully backwards-compatible! Do you have a problem, a question, ideas or criticism? Just answer to this topic and we will help you as soon as possible. Of course we cannot provide support for very old versions of the StreetsMod. A big thank-you to the user Immanuel_Kant, who made most of the initial textures in this mod! Another big thank-you to philipbenr, who improved many of the textures! 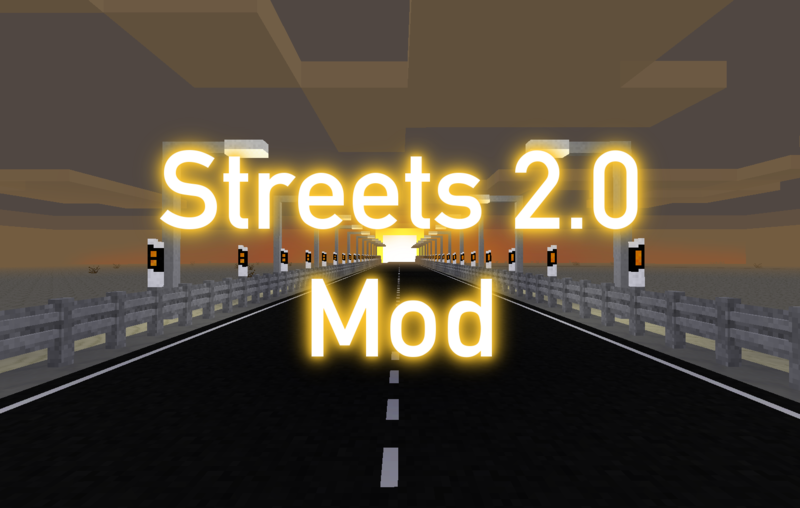 Download the source code to your minetest mod directory and rename the folder to "streets". Activate this mod in your world. There are no further screenshots at the moment. If you have a cool screenshot, please send it to us, so we can add it here! Thanks! Last edited by webdesigner97 on Sun Mar 05, 2017 14:58, edited 39 times in total. +1, way better than the original asphalt mod! qwrwed wrote: +1, way better than the original asphalt mod! 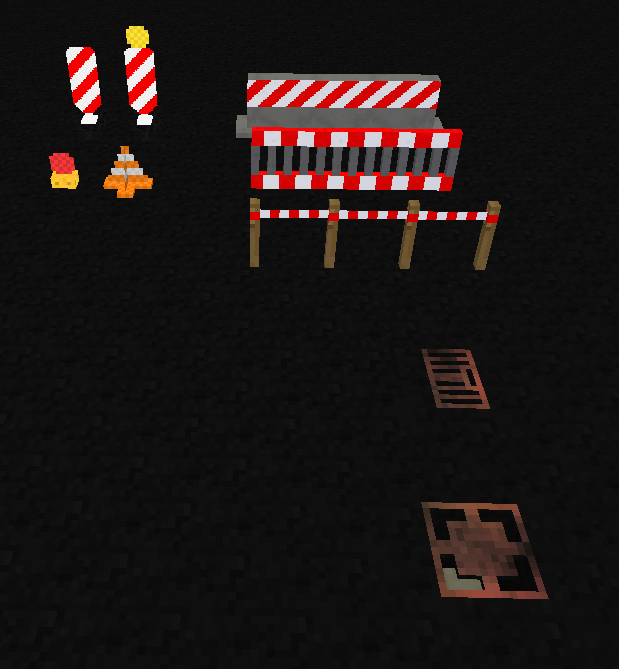 Minetesting's traffic signals, roads and cycleways mod http://minetest.net/forum/viewtopic.php?id=1982 . There used to be also some road stuff in madblocks http://www.zimg.eu/i/594114332 (link to the recipes). Then I found this one http://minetest.net/forum/viewtopic.php?id=2613, probably the one qwrwed mentioned. And the tar in the building blocks mod http://minetest.net/forum/viewtopic.php?id=674. Maybe you can integrate them together with the authors, or with their approval? Then I found this one http://minetest.net/forum/viewtopic.php?id=2613, probably the one qwrwed mentioned. Yeah, that's the one I meant. Last edited by qwrwed on Wed Jul 24, 2013 12:50, edited 1 time in total. Well, I really don't want this mod to depend on other mods, but thx for your opinion and your suggestion. If you like it, you can watch for future versions with things like: manhole (maybe a working one), Crosswalks (seems to be useless), signs and direction arrows. All this will be stored on website, which is only created for this mod. It checks for a resource, aliases it if it exists, creates if not. Last edited by rubenwardy on Fri Sep 07, 2012 19:19, edited 1 time in total. I do something similar in my pipeworks mod. If home decor is present, pipeworks uses the plastic sheets therein for the crafting recipe that needs it. If it is not, pipeworks defines the plastic sheet on its own using the same name as in home decor. Last edited by webdesigner97 on Sat Sep 08, 2012 18:54, edited 1 time in total. Well, give me some time....... Need to create the images etc. Better idea: lay plain asphalt nodes, then *paint* them by laying those signlike nodes - but those signlike nodes should cause the asphalt node they are placed on to transform into whatever the signlike node indicates. Then the signlike node disappears, leaving only the painted asphalt node. thats adding one after_place_node(), an add_node() and a remove_node() to achieve the same result, and you're declaring twice as many nodes. Why not customize selection_box instead? Well for starters, signlike nodes float above the surfaces they're placed on, and if you place one as paint and leave it there, small items like torches, fences, anything that's partly transparent, etc. can't be placed there and still show the stripes on the road. So unless you can point to specific locations on a node (edges, center), it's better to paint the road the way I suggest, even if it does result in twice as many node defs. Minecraft classic servers usually have a "paint" command that allows to replace blocks by clicking on them. That is very practical when building larger structures. The screwdriver from technic is likewise helpful. Maybe such a paint-tool could become more general than just for "painting" the lines on roads? if the selection_box is 0/nil then it wont get highlighted, and if he makes the stripes buildable_to then they dont get in the way either. less lag if the mod doesn't have to switch nodes for every block of road added. But if they're buildable_to, then the stripes will disappear entirely when the signlike node is deleted in favor of the other item being added. Last edited by jojoa1997 on Sat Dec 29, 2012 20:24, edited 1 time in total.